By repeatedly observing a billion stars, with its billion-pixel video camera, the Gaia mission will allow astronomers to determine the origin and evolution of our galaxy whilst also testing gravity, mapping our inner Solar System, and uncovering tens of thousands of previously unseen objects, including asteroids in our Solar System, planets around nearby stars, and supernovae in other galaxies. Gaia will map the stars from an orbit around the Sun, near a location some 1.5 million km beyond Earth’s orbit known as the L2 Lagrangian point. The spacecraft will spin slowly, sweeping its two telescopes across the entire sky and focusing their light simultaneously onto a single digital camera, the largest ever flown in space. The ‘eye’ of Gaia’s camera has the most sensitive set of light detectors ever assembled for a space mission. Once Gaia starts routine operations, in late Spring 2014, astronomers will have the challenge of dealing with a flood of data. 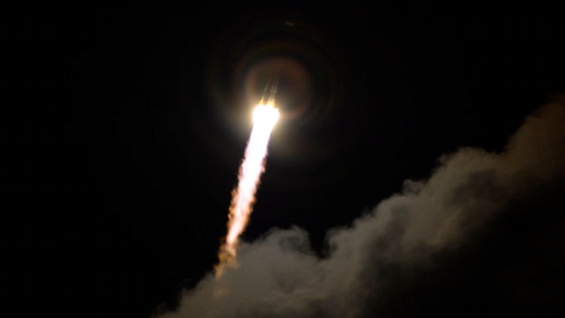 Even after being compressed by software, the data produced by the five-year mission will fill over 30,000 CD-ROMs! The first Gaia science is expected to be discoveries of new sources – supernovae, extreme variable stars, and blazars. Links: University of Leicester press release; ESA launch campaign blog and press release; ESA lift-off movie. The software described in the article, called CosmoEJS, is freely available online from ComPADRE. On December 4, 2013, the U.S. House of Representatives Committee on Science, Space, and Technology met for a hearing on “Astrobiology: Search for Biosignatures in our Solar System and Beyond”. The hearing’s purpose was to examine astrobiology research and the search for signs of life in our Solar System and beyond. It included a general assessment of the multi- and interdisciplinary nature of astrobiology research, including the role astrobiology plays in formulating NASA space missions. It also examined the techniques and capabilities necessary to determine the potential for the existence of biosignatures within our Solar System. With the discovery of potential Earth-like planets outside of our Solar System, the committee heard three experts discuss what methods are being used to determine if any of these planets may harbour life and explored existing and planned astrobiology research strategies and roadmaps. Links: House Committee on Science and Technology website, including the witnesses’ testimony in transcript form and an archived webcast of the proceedings. Can we image a black hole? The European Research Council (ERC) has awarded 14 million euros (around $19 million) to a team of European astrophysicists to construct the first accurate image of a black hole. The team will test the predictions of current theories of gravity, including Einstein’s general theory of relativity. The funding is provided in the form of a synergy grant, the largest and most competitive type of grant of the ERC. This is the first time an astrophysics proposal has been awarded such a grant. Black holes are notoriously elusive with a gravitational field so large that even light cannot escape their grip. 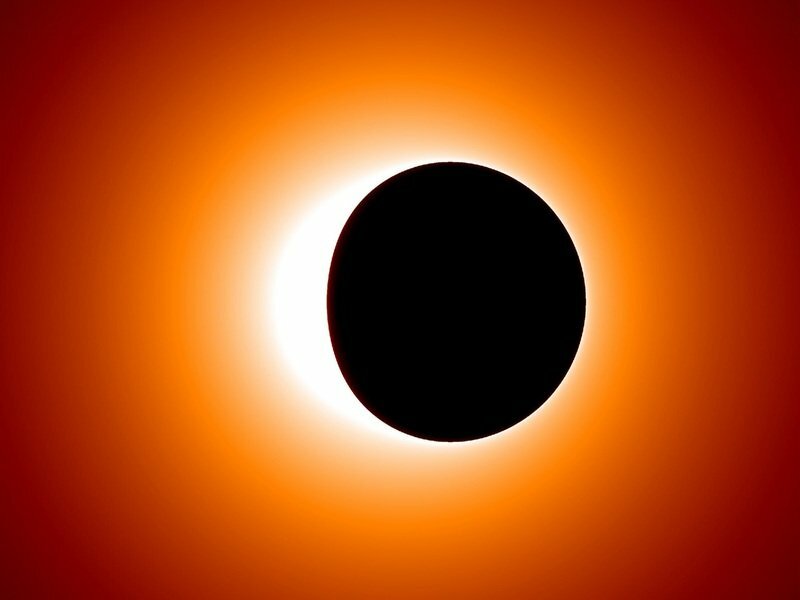 The team plans to make an image of the event horizon – the border around a black hole which light can enter, but not leave. The scientists want to peer into the heart of our own galaxy, which hosts a mysterious radio source called Sagittarius A*. The object is known to have a mass of around 4 million times the mass of the Sun and is considered to be the central supermassive black hole of the Milky Way. As gaseous matter is attracted towards the event horizon by the black hole’s gravitational attraction, strong radio emission is produced before the gas disappears. The event horizon should then cast a dark shadow on that bright emission. Given the huge distance to the center of the Milky Way, the shadow is equivalent to the size of an apple on the Moon seen from Earth. By combining high-frequency radio telescopes around the world, in a technique called very long baseline interferometry (VLBI), even such a tiny feature is, in principle, detectable. In addition, the group wants to use the same radio telescopes to find and measure pulsars around the very same black hole. Pulsars are rapidly spinning neutron stars, which can be used as highly accurate natural clocks in space. While radio pulsars are found throughout the Milky Way, surprisingly none had been found in the center of the Milky Way until very recently. On December 14, 2013, China became the third nation to successfully land a spacecraft on the Moon, a so-called ‘soft’ landing. This is also the first such lunar landing in 37 years. The Chang’e-3 landing craft carried a solar-powered, robotic rover called the Jade Rabbit (Yutu in Mandarin Chinese), which emerged several hours later to begin exploring Sinus Iridum, or the Bay of Rainbows, a relatively smooth plain formed from solidified lava. According to a Chinese legend, Chang’e is a moon goddess, accompanied by a Jade Rabbit that can brew potions that offer immortality. 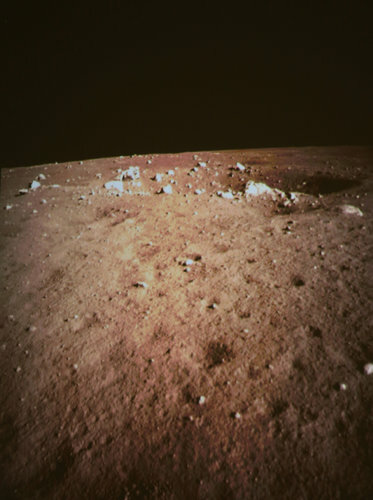 A later Chang’e mission, perhaps sometime before 2020, is intended to bring back rocks and other samples from the Moon, and that will need a larger craft capable of sending a vehicle back to Earth. That mission will also need a more powerful launch rocket, which China is also developing. Links: NY Times article, BBC News report, APOD coverage. The Fermi Gamma-ray Space Telescope celebrates 2000 days of orbiting Earth this week with a new map of the gamma-ray sky, published on APOD on December 6, 2013. For an Earth-orbiting gamma-ray telescope, Earth is actually the brightest source of gamma-rays, the most energetic form of light. Gamma-rays from Earth are produced when high energy particles, cosmic rays from space, crash into the atmosphere. While that interaction blocks harmful radiation from reaching the surface, those gamma-rays dominate in this remarkable Earth and sky view from the orbiting Fermi Gamma-ray Space Telescope’s Large Area Telescope. The image was constructed using only observations made when the center of our Milky Way galaxy was near the zenith, directly above the Fermi satellite. The zenith is mapped to the center of the field. The Earth and points near the nadir, directly below the satellite, are mapped to the edges of the field resulting in an Earth and all-sky projection from Fermi’s orbital perspective. The color scheme shows low intensities of gamma-rays as blue and high intensities as yellowish hues on a logarithmic scale. Our fair planet’s brighter gamma-ray glow floods the edges of field, the high intensity yellow ring tracing Earth’s limb. Gamma-ray sources in the sky along the relatively faint Milky Way stretch diagonally across the middle. In this short article for The Conversation, Helen Maynard-Casely summarizes current efforts in exploring the Solar System, with missions underway to nearly every planet (and dwarf planet, Pluto).